Never deal with those annoying no-name papers again! 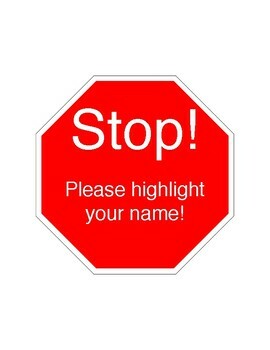 This sign can be placed at the turn in bin to remind students to highlight their name. This quick reminder makes it almost impossible to turn in a paper without a name. 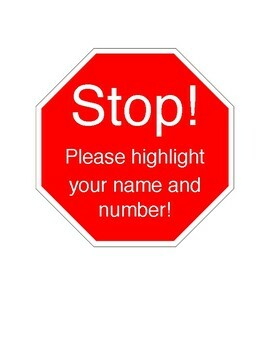 Two versions of the sign are included; one says name and number, one says only name. Love this freebie? Please rate and leave a comment. 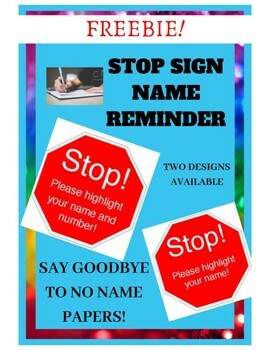 I would love to hear how this sign is helping with the no name papers in your classroom! Make sure to follow Curly Girl Classroom to see future products and freebies!